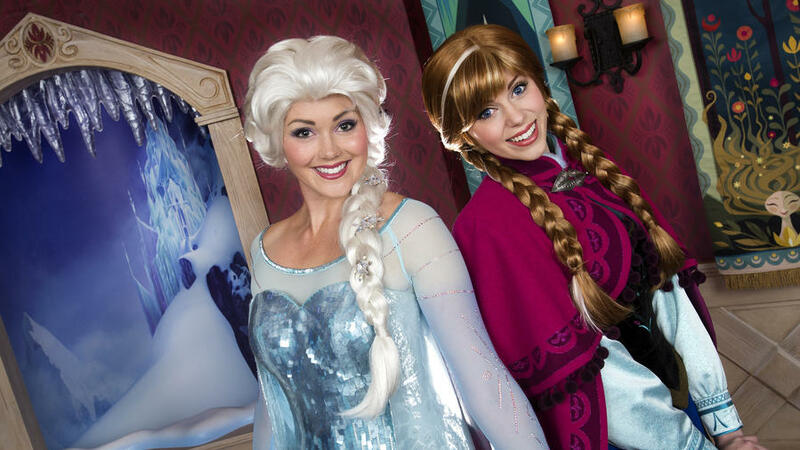 What would you ask Anna and Elsa if you could meet face-to-face? Now’s your chance to curtsy to the queen and princess at a royal greeting inside the Arendelle castle at the Disney Animation building on Hollywood Boulevard. So go ahead, quiz Anna on her favorite sandwich, ask whether Elsa makes the occasional jaunt to her ice castle, and inquire if Sven still craves a bite of Olaf’s carrot nose. And if you’re captivated by the moment, don’t worry—a photographer is on hand to capture the magical meeting. Open daily during park hours. Now that you’ve seen Olaf in person, it’s time to see if you can recreate him at the Animation Academy. Guests can learn to draw some of their favorite animated friends via step-by-step instruction (plus tips and tricks) led by Disney artists. Sketch well, because you can roll up that illustration you just worked so hard on and take it home as a souvenir. Classes are held throughout the day. Check the schedule in advance to see what time Olaf is being illustrated. You’ve lost track of the number of times that you watched the movie (millions, maybe? ), so grab some popcorn and catch the live production of “Frozen – Live at the Hyperion” in Hollywood Land. Though make no mistake, there’s about zero magic lost on the live adaptation. For starters, you’ll see snowflakes fall inside a ballroom where Anna and Elsa build a snowman for the very first time and later watch as Queen Elsa unleashes her ice powers to form a soaring ice castle on top of the North Mountain. Performances are held three times daily. Seating is on a first come, first serve basis. Guests can get in line one hour prior to show time.